Once you have made the decision to become a Sports Psychologist it is time to evaluate the available sports psychology programs to find the one which matches your needs and career desires. The place to start your search is with colleges with good psychology programs. Many of these schools offer a specialization in sports psychology. While not all sports psychologists are trained in classic psychology it appears in the future this may become a requirement. One group, the American Board of Psychology already requires a formal degree in psychology. The other well known certification group, the Association for Applied Sport psychology does not currently require a psychology degree, there are discussions within their organization to implement this requirement. 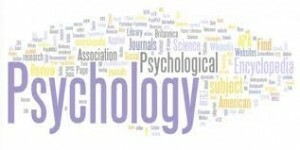 For your best options it would be wise to consider a Psychology Masters Program or other Graduate Psychology program with an emphasis on Sports Psychology. Sports Psychology schools with good psychology programs which lead to a career as a sports psychologist are plentiful. You can find on campus programs at over 50 colleges and online psychology courses at 10 universities. This is just a sampling of the programs currently available in the USA and around the world. It is important to note while research for your sports psychology programs is to watch the title of the offered course closely. Many sports psychology programs currently offered are through the Sports and Exercise Sciences area of the university. These programs focus on psychology as an addition to your sports medicine career training. Your primary degree may be in Kinesiology, Exercise Science, or other sports medicine degrees. One example is the program from Georgia Southern University which Master of Science in Kinesiology with a specialty in Sports Psychology. The reason this distinction is so crucial is due to career opportunities. A person training in kinesiology or sport and exercise sciences may be restricted to a sports medicine career and the associated sports medicine salary. 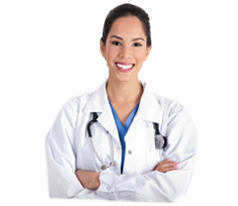 These careers can be exciting and use every aspect of your psychology training. The other path, with a masters or doctorate in psychology allows you to practice as a psychologist not only in the capacity of a sports psychologist. What is your best choice? The best choice is to sit down, review the curriculum of a few colleges, explore the classes you might be taking, and then choose the proper career path for you. Then you can confidently choose the right sports psychology programs for you.